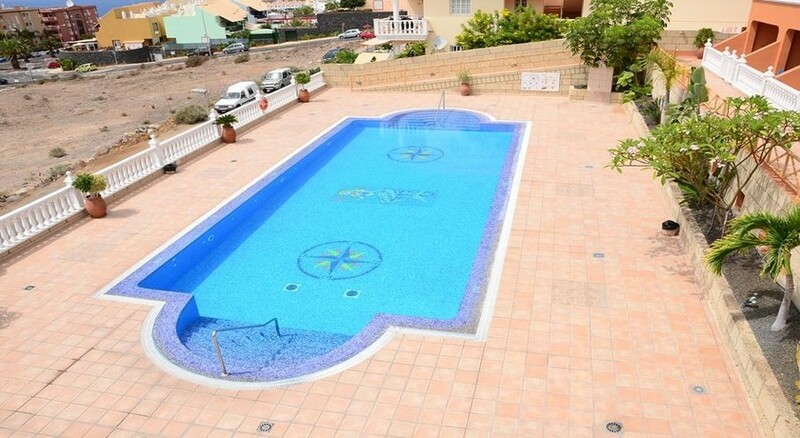 This apartment complex is located close to the quiet center of Callao Salvajes and its beach. 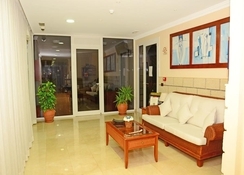 The lively tourist centers of Costa Adeje and Playa de las Americas are also nearby, at a short distance of 8km. Callaomar Hotel is a great base for families, couples and friends alike, its two floors featuring 15 apartments, with One or Two-Bedroom rooms to choose from equipped with comfortable amenities and a terrace with pool views. The facilities at Calloamar Hotel include a swimming pool and a sun terrace area with sun loungers and parasols to relax on, a solarium and sports activities such as table tennis plus watersports available at the nearby beach. Outside of the hotel there’s an abundance of things to see and do in popular Costa Adeje and Playa de las Americas. 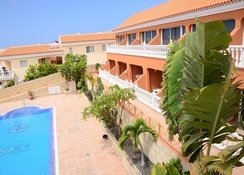 Callaomar Hotel is located in Adeje, a popular tourist town south of Tenerife close to the quiet centre of Callao Salvaje - where the toasty climate is practically unchanged throughout the year. If you want a lively evening on the island, head to the nearby resort of Playa de las Americas. If you’re all about culture, a visit to the Teide National Park is a must at a distance of 41km from the hotel, the Ajabo beach is also nearby, at a distance of 1km from the hotel. The Tenerife South Airport is 27km from the hotel. There are 15 apartments available at Callaomar Hotel and guests can choose to stay in either a One-Bedroom or Two-Bedroom room – based on their preferences and travel party. Each of the rooms has a spacious living room area, a kitchen equipped with relevant facilities for guests to cook in, a bathroom and private terrace space that overlooks the pool. 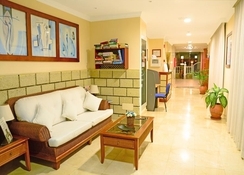 The Callaomar Hotel is a self-catering property, therefore does not have an on-site restaurant available. Guests can cook meals of their choice in the fully-equipped kitchens that come with the apartment rooms. You should also explore restaurants and bars in the vicinity, where you’ll find a whole host of authentic eateries to try. Try out Indian delicacies at the Bombay Babu restaurant or go for Little Germany for familiar European delicacies. The hotel has a large central pool fit for splash-tastic fun and ideal for a dip in the hottest hours. The pool is located near the sun terrace which has parasols and sun loungers to relax on, too. If you’d like to discover more of the island but don’t know where to start, the hotel can help organise excursions at the request of their guests and recommend popular things to see and do in Costa Adeje. There is private parking available at the hotel.